Louis waits desperately for a piece of steak to fall from above. Downunder it is summer, the season for entertaining. 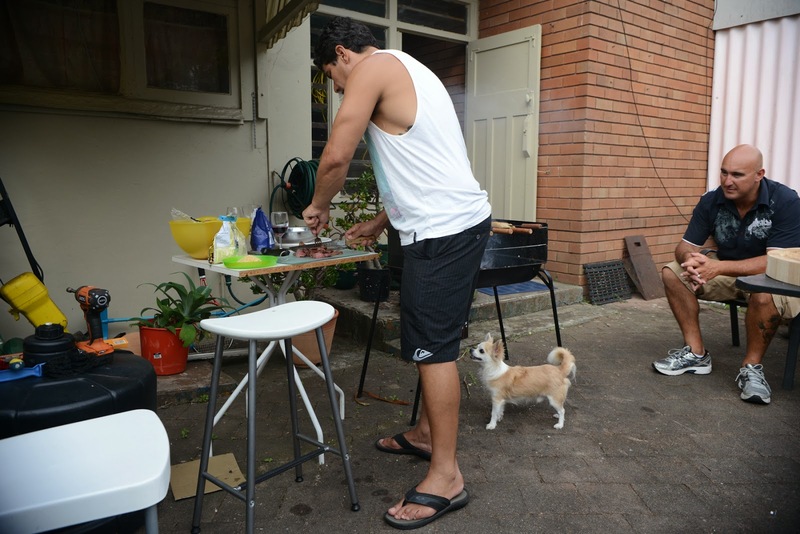 The Aussie BBQ is something of an institution, and the nice thing is it is one dining event where dogs are usually welcome. But there's a down side to everything, and the humble barbie isn't an exception to the rule. If you do invite your dog (which we're all in favour of) here are a few hazards you should be aware of. There's nothing wrong with a vegetarian BBQ, but most Aussie barbie's involve the cooking of at least some meat, and quite often obscenely large quantities. It tends to be cooked in batches which are then left in very tempting piles on plates or platters to cool down. If a dog can reach it, the temptation can be just too great to wait for the meat to cool. But eating a hot sausage or steak can cause burns to the mouth and oesophagus. I've treated several dogs for oesophagitis following ingestion of flaming hot meat just off (or even from) the barbie. Moral of the story: don't leave the BBQ or hot meat unattended. Snags and steaks are often fatty, which is one reason they're so popular. Its just that dogs don't tolerate fat as well as we do. Yet they are often willing to eat anything from the BBQ - including the gristle and fat we won't touch. This can result in gastrointestinal upsets and may in some cases trigger pancreatitis, which is life threatening. A single sausage may not send you running for the toilet, but it can lead to spectacular vomiting and diarrhoea in dogs. Remember too that dogs tend to circulate at parties, asking anyone who will look at them for a tidbit. If three or four guests are succumbing to your dog's begging (usually multiple times) that is a lot of unauthorised food being ingested. If you must feed your dog, scrap the fat (double bag it - see point 7 on Garbage) and share a small amount of the lean meat on offer. 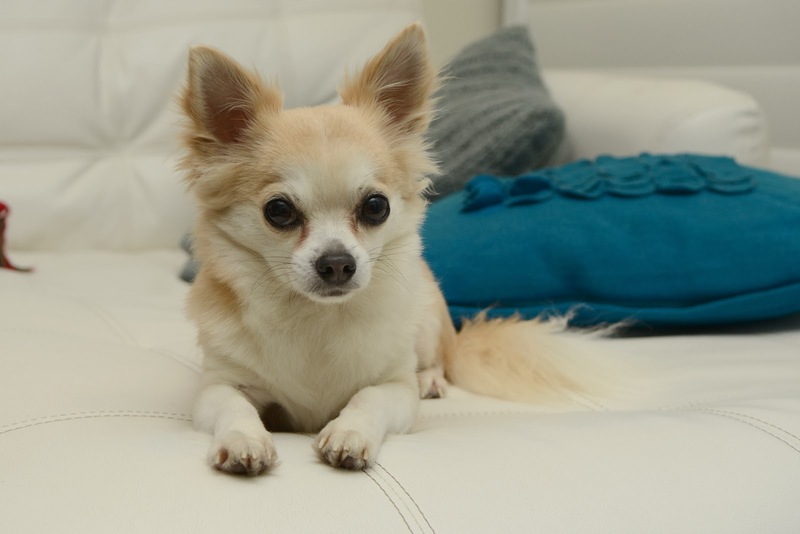 Politely ask others not to feed your dog - no matter how politely he or she asks for treats. 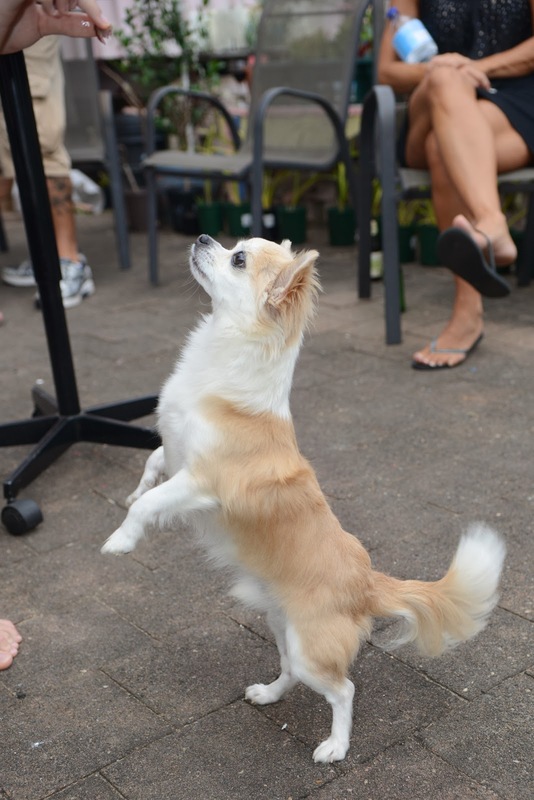 Dogs will do tricks to tempt guests into sharing their meal. Onions are a popular accompaniment to whatever is on the barbie, but they're toxic to dogs. Onions, when eaten, release compounds that cause oxidative damage to red blood cells leading to anaemia. 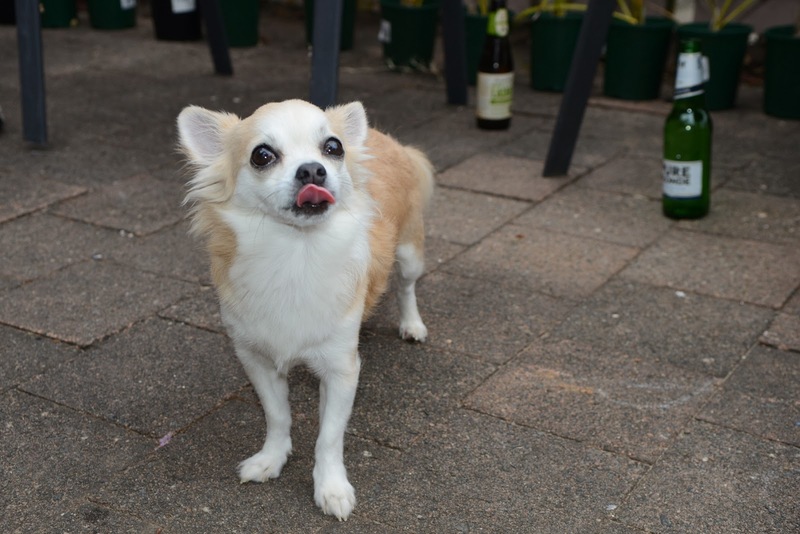 I've seen several cases now where a smaller dog was fed an onion bhaji and suffered from toxic effects. Onset of clinical signs is usually within 12 days but may be delayed, and signs include pallor, jaundice, weakness, fatigue, lethargy, depression, onion-breath, onion-smelling brown tinged urine, tachypnoea, inappetence, vomiting, diarrhoea, abdominal pain and collapse. It can be life-threatening. Keep your dog well away from onions. We know not to eat these, but dogs don't. Kebab sticks are pointy, flimsy, easy-to-swallow and ready-to-wreak-havoc in intestines. They can penetrate the gut leading to peritonitis but they're also known for migrating. I examined a dog who came in for a cutaneous lump on her shoulder which turned out to be the tip of a kebab stick. Lesson learned? If its covered in meat, they'll eat it. Kebab sticks (loaded or empty) are a temptation to dogs and must be kept out of reach. They have a way of penetrating and migrating their way out of the trash - dispose of them carefully. 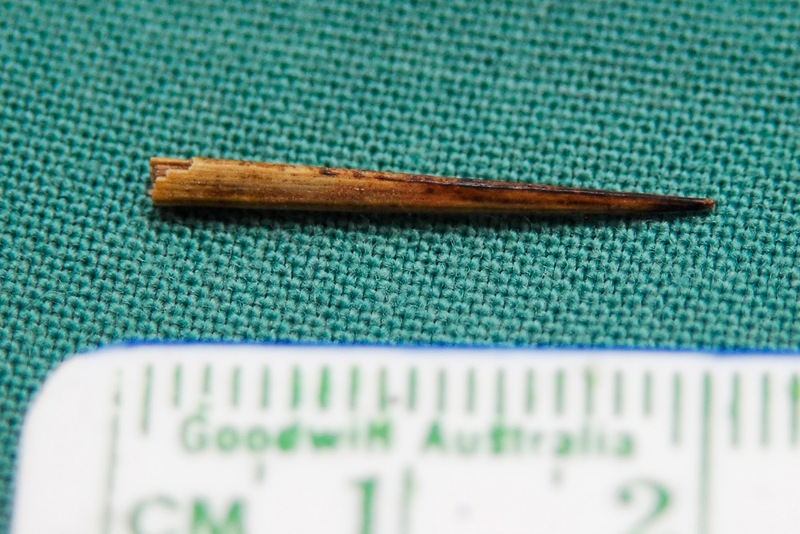 The tip of a kebab stick which had migrated from the gut into subcutaneous tissue. Alcohol is a central nervous system depressant which is rapidly absorbed into the blood stream. Some animals love the taste and there is usually loads of it in reasonably easily accessible locations at BBQs. Onset of clinical signs can be within 30 to 60 minutes of ingestion (depends on the type of alcoholic beverage and the amount ingested) and clinical signs can range from the seemingly harmless (an uncoordinated gait) to vomiting, diarrhoea, tetraparesis, disorientation, vocalisation, tremors, seizures, dyspnoea, unconsciousness and death (it can do this to people too!). Sadly, the odd idiot feels the need to deliberately offer alcohol to dogs, usually in human quantities with no concept of how dangerous this is. That's a dealbreaker - you don't need this kind of person at any of your parties, ever. Note the proximity of Louis to alcohol. There is NO suggestion that he drank it - in fact his parents watched him carefully (it was just an unfortunately timed photo where he happened to lick his looks and look slightly tipsy) - but if he were unsupervised and wanted to walk on over and tip one of those beer bottles on the side he could lap up the contents. They're not a feature of every party but macadamia nuts cause a bizarre toxicity syndrome in dogs and the last dog I treated sat next to a bucket of them on the back step at a barbie and just ate her way through it. The toxicity isn't well understood, but it varies from dog to dog - some show signs after ingesting a few kernels, others need to eat a bucketful or around 40 kernels before things go wrong. Clinically it can look a lot like snake bit or tick paralysis - animals present with paresis/paralysis (especially the hindlimbs), stiffness, ataxia and reluctance to stand. Other signs include joint pain, fever, abdominal pain, vomiting, pallor, blindness and tremors. All dogs make a full recovery, but that doesn't mean this is harmless...we don't know the long term effects and the sudden blindess is very distressing. They don't need nuts, so keep them out of reach. Gatherings generate a lot of rubbish - grease and oil from the BBQ, gristle people won't eat, odds and ends of vegies, fruit stones, wrappers, kebab sticks, plastic cutlery - you name it. Most has some sort of food residue on it which makes it extremely attractive to dogs. If its within reach they may try to scavenge from the trash. This typically leads to gastrointestinal upsets but in severe cases it can lead to pancreatitis or a gastrointestinal foreign body (some of the worst cases I've seen involved stones from stonefruit). Double-bag the BBQ trash, whack it in a secure bin with a lid on it and keep it well away from any curious canine noses. Louis made it through the BBQ unscathed. Don't get me wrong, here at SAT we love a social gathering...we just know that accidents can happen at BBQs, and if you're aware you can take steps to prevent your dog getting into strife.